Mo's word for today is DATE. Some time ago (March 29, 2007 to be exact) I wrote in my other blog Answers to the Questions a post on "How to Read and Write Roman Numerals." Ever since, I've had people commenting on that post asking questions about how to write numbers and DATES in Roman Numerals. To DATE I have 369 questions/comments from all sorts of people as well as kids in school, who need to write an Arabic number in Roman Numerals. A lot of people want to write his/her birthday or wedding date in a tattoo on their body somewhere. I've answered every request for the translation of a DATE. Some people want to know things like how do you write 2 million, 2 billion, etc. Of course I tell them the Romans really never dealt with such large numbers but we in contemporary society haver figured out how those numbers should be written. 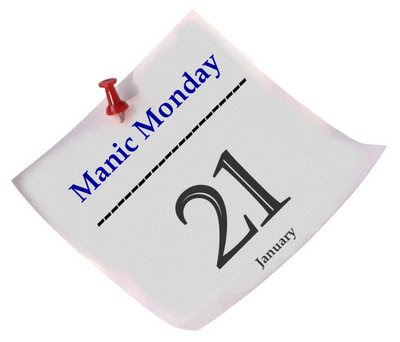 For other Manic Monday participants click here. That is just perfect for the word to DATE. I know some have difficulties in writing and reading roman numerals. Your post is of great importance. Nice Monday date reference! I have been MIA come find out why, and check out my date! Mary, sorry... may i ask what does C D M state for on the chart? just simply alpabets or? I am horrible with Roman numerals. Maybe I should swipe this chart! I remember an old comedy novelty piece I heard on Dr. Demento many years ago. I'm not sure who it was by - maybe Stan Freberg? - anyway, it was a long discussion between two Roman shopkeepers where one was trying to explain Arabic numbers to the other. It was hilarious. day, month, years is so much more practical. writing and reading numerals are part of our math education in gradeschool. That reminds me of my school days when I went to the graveyard to read roman dates to exercise myself, lol ! I was not born on the IV but on the VIII of July ! Sorry I thought my comment was lost !Now you have it twice ! Wow, that's amazing!!! I'm linking this page up for my son. 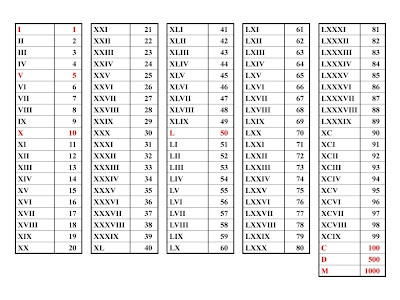 We're going to begin Roman Numerals in a couple weeks. Jamie, I don't know why we write our dates differently... good question to look into. :) thanks for commenting! Hi Mary! I like this post because I'm one of those people who loves Roman Numerals, why I don't know. Now, I have never seen or used embiggen! Sounds like I'll need to start! Enjoyed your 'date' post! Want to come teach the kids???? 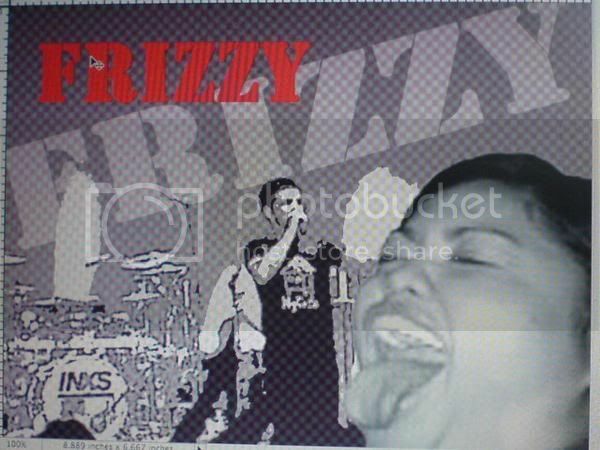 LOL, joking of course, that is my job. Great take on the theme for this meme. Roman Numerals are cool. I used to keep a chart like that at my desk. I memorized it all years ago (I had to). Of course, like any other kid who abhorred math, I forgot most of the symbols. This was a great refresher. Thank you! could you tell me what 14th may 1990 is please?